Gary Miller from Wollumbin Gourmet Mushrooms brings mushrooms grown with great skill and attention to the market. 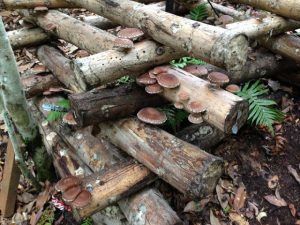 Shiitakes are fruited naturally on purpose built eucalyptus logs in the forest at the back of Gary’s place. Oysters – king, white and blue are grown using grow bags which Gary also sells at the market for mushroom enthusiasts. This is a very time intensive business and takes dedication and commitment to succeed. Gary brings both these attributes and more to his mushroom cultivation and growing business. 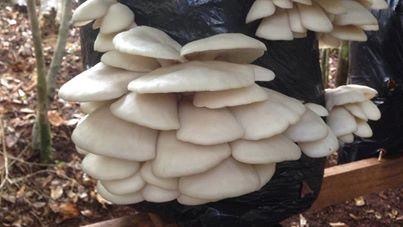 A selection of the following are available depending on the season and the weather: White, blue and king oyster mushrooms; Shiitake mushrooms, Lions Mane, Shemeji plus mushroom grow bags.